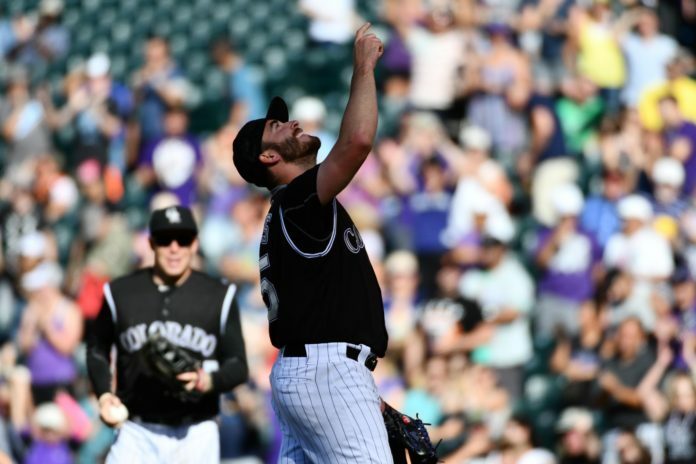 While there were moments in the Colorado Rockies’ 2016 season where it seemed like they could contend for a Wild Card spot, it was still very much a year of rebuilding. With a parade of high-profile prospects being called up from the minors, and with several little-known players stepping up in a big way, they look to have done just that. On Monday, in our Blake Street’s Youth Movement series, we detailed the up-and-down development of rookie pitcher Jeff Hoffman. Today, we’ll be looking at Chad Bettis, who stepped up in a big way for the Colorado Rockies, going 14-8 in his fourth season with the organization. Chad Bettis knows something about growth. In 2014 he had to overcome adversity of his own when he was demoted to Triple-A three times. The problem for Bettis was that the team was trying to decide whether he was a starter or reliever. By the time of his third demotion, Bettis was set. He knew he wanted to be a starter, and he felt like a conversation with management was necessary, no matter the consequences. But management listened, and after two years in a starter’s role, it’s paid off, as Bettis is coming off a career, 14-win year. Keeping the young core intact that Bettis came up through the minors with only gives him more confidence for the year ahead. This is a part of a week-long series. Make sure to check back tomorrow, to hear how Eddie Butler changed his mechanics to become an effective reliever at the end of the season. If you missed yesterday’s story about Jeff Hoffman, click here.